Violence, abuse, neglect... it can be hard to know what to do when someone you know is being hurt. When you're the one copping the abuse, it's even harder. “More than 5,000 counselling contacts to Kids Helpline each year are about child abuse, domestic or family violence, or issues related to living in out-of-home care,” Kids Helpline CEO Tracy Adams revealed. To help those young people struggling, Kids Helpline has launched two comics focusing on what to do when your friend is being abused. 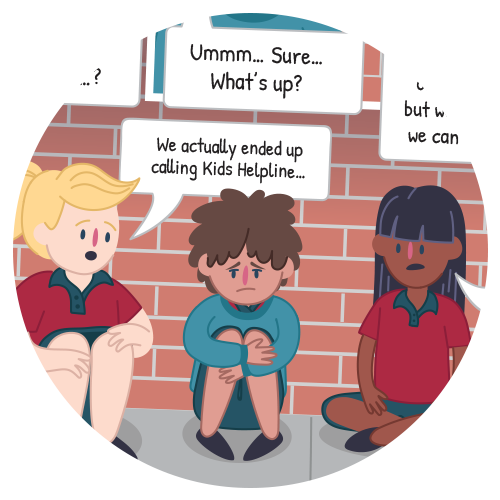 Written specifically for High School and Primary School students, the comics were produced by Kids Helpline counsellors in consultation with students from Beachmere State School, Narangba Valley State High School and Southern Cross Catholic College. “Children and young people care about each other and we should never underestimate the critical role they play in child protection,” Ms Adams said. 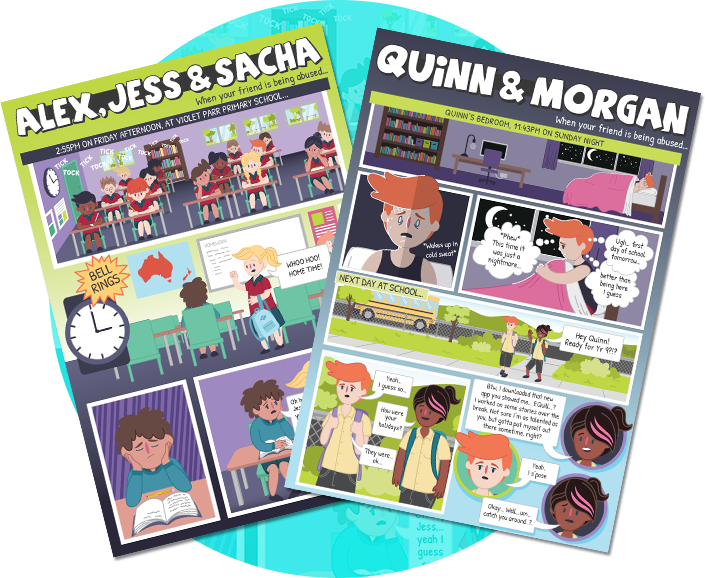 The free resources focus on the stories of Alex, Jess & Sacha – three primary school friends, and Quinn & Morgan – two high schoolers. Jess and Sacha are worried about Alex. From wearing a jumper when it's boiling hot, to kicking over the trash can at lunch, he hasn't been himself. But what can they do? Available in digital, print and video, the kids comic is about physical violence while the teens version focuses on sexual abuse. The comics received funding from the Queensland Child Protection Week Committee. “We know that often the first person to notice or hear about abuse can be a friend,” Ms Adams said. In 2017, child abuse was the second most common reason for Kids Helpline initiating emergency duty-of-care interventions. Then Quinn opens up about something serious that has been going on at home. He doesn’t know what to do and isn’t sure anyone will believe him. 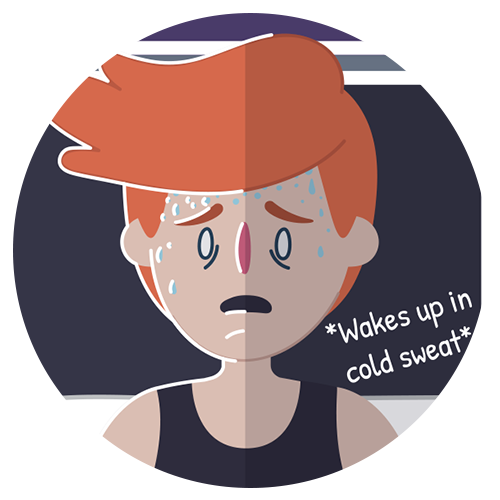 Check out Kids Helpline’s full range of comics, tipsheets and social infographic on child abuse at kidshelpline.com.au. We’re a community funded organisation that tackles issues like youth unemployment and mental health, and take on issues like family and domestic violence. Show your support and get the latest news and updates on our yourtown Australia Facebook page.